Our range of products include silver sulphate, silver carbonate, silver acetate, silver chromate, silver lactate and silver iodide. 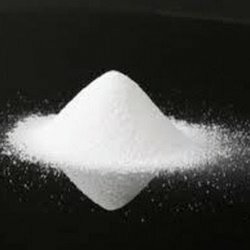 We are among the reputed organizations, highly engaged in providing an optimum grade of Silver Sulphate. 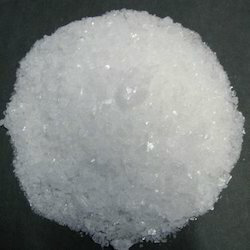 The offered silver sulphate is processed by experts utilizing best quality chemical compounds and advanced methodology keeping in mind the standards of industry. As well, this silver sulphate is used in silver plating and as a non-staining substitute to silver nitrate. 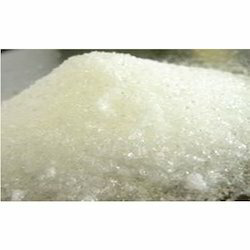 This silver sulphate is available in variegated packaging options as per customers’ demands. Silver carbonate is the chemical compound with the formula Ag2CO3. 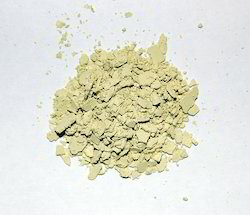 Silver carbonate is greenish yellow. It is poorly soluble in water, like most transition metal carbonates. Our well established enterprise is engaged in offering a vast range of Silver Acetate to our clients. Our offered range is appreciated for its enhanced shelf life and premium quality. This offered product is widely demanded in domestic as well as international markets. Our product is precisely processed by our professionals using high grade basic chemical compounds. This range can be purchased from us at industry leading rates within the promised time – frame. Silver chromate (Ag2CrO4) is a brown-red monoclinic crystal and is a chemical precursor to modern photography. It can be formed by combining silver nitrate (AgNO3) and potassium chromate (K2CrO4) or sodium chromate (Na2CrO4). This reaction has been important in neuroscience, as it is used in the "Golgi method" of staining neurons for microscopy: the silver chromate produced precipitates inside neurons and makes their morphology visible. We are among the prominent names of the business, which engage in the manufacture, supply and trade of Silver Lactate, which is provided at industry leading rates. Prepared in adherence to the predefined industry procedures, the offered chemical is widely applauded for its precise composition, enhanced shelf life and supreme effectiveness. Proffered silver lactate is free from contaminants. 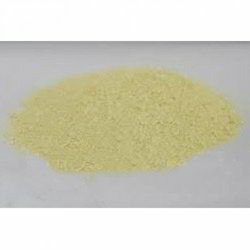 Silver iodide is an inorganic compound with the formula AgI. The compound is a bright yellow solid, but samples almost always contain impurities of metallic silver that give a gray coloration. The silver contamination arises because AgI is highly photosensitive. This property is exploited in silver-based photography. Silver iodide is also used as an antiseptic and in cloud seeding. In order to append and respond to the diverse demands of clients, we are able to offer Silver Sulphide. The offered range of silver sulphides is sourced from dependable vendors of the market. Along with this, the offered range of silver sulphides is suitably checked utilizing modern machines and sophisticated technology to ensure its compliance with the international quality norms and standards. We are among the reputed organizations, highly engaged in providing an optimum grade of Silver Tetrafluoroborate . 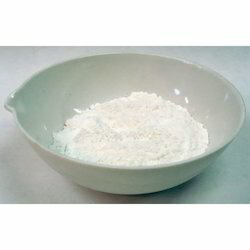 The offered silver sulphate is processed by experts utilizing best quality chemical compounds and advanced methodology keeping in mind the standards of industry. As well, this silver sulphate is used in silver plating and as a non-staining substitute to silver nitrate. 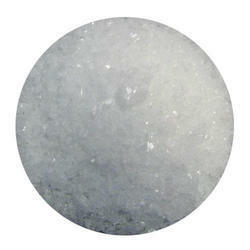 This silver sulphate is available in variegated packaging options as per customers’ demands. We are considered a renowned name in the business, which engages in the manufacture, wholesale and supply of Silver Sulfadiazine. Widely used in the medical industry, the offered chemical is vastly appreciated for its effectiveness and correct chemical composition. It finds a major application as a topical cream on burns. Silver sulfadiazine is provided in safe packaging. 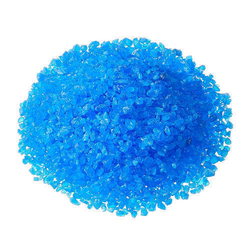 We are expertise in the manufacturing on Copper Sulphate Technical Grade. Our product is highly appreciated by the customers because of its purity and long lasting nature. We offer this to our client at various affordable and market leading prices. 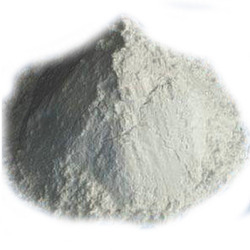 We are offering Silver Oxide Nano Powder which is the inorganic compound with the formula Ag2O. 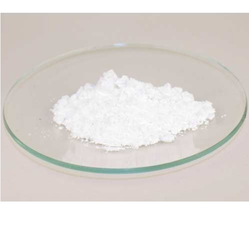 We are offering Silver II Oxide which is the inorganic compound with the formula Ag2O. We are offering Silver IV Oxide which is the inorganic compound with the formula Ag2O. With hard-earned experience of our adept professionals, we are engaged in offering a precisely composed range of Silver Chloride to our clients. For its enhanced quality, our experts formulate the offered product with utmost care under strict climatic conditions. This product is tested on various parameters to ensure its effectiveness and accurate compositions. We offer this product at industry leading rates within a stipulated period of time. We are a leading organization actively engaged in offering a wide Quality of Silver Oxide. The offered product is processed using supreme quality, in compliance with set industrial standards and norms. We also offer Silver (II) Oxide, and SIlver (IV) oxide, Ag2O2 and AgO2at market leading prices. Our company has earned accolades in offering Silver Nitrite to the clients. 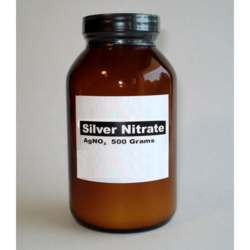 Silver Nitrite is correctly processed by using premium quality of material and latest technology under the supervision of expert professional at vendor's well developed production unit. 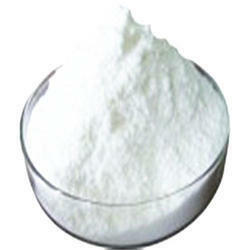 Offered range is well known for purity and thinning properties. This product is thoroughly inspected by quality analyzer upon a series of quality tests to seek any possible defect from the final product. Silver acetate is an inorganic compound with the empirical formula CH3CO2Ag (or AgC2H3O2). 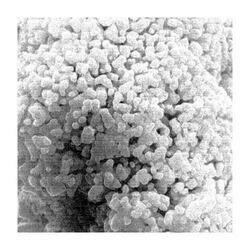 It is a photosensitive, white, crystalline solid. 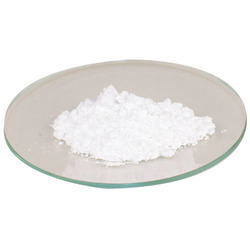 It is a useful reagent in the laboratory as a source of silver ions lacking an oxidizing anion. It has been used in some antismoking drugs. Silver(I) fluoride is the inorganic compound with the formula AgF. It is one of the three main fluorides of silver, the others being silver subfluoride and silver(II) fluoride. 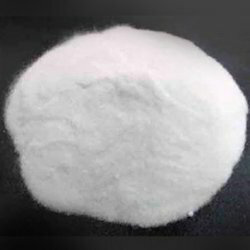 AgF has relatively few niche applications; it has been employed as a fluorination and desilylation reagent in organic synthesis and in aqueous solution as a topical caries treatment in dentistry. 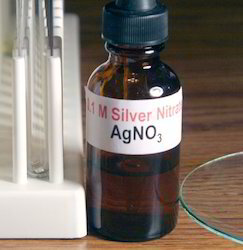 We are highly engaged in the manufacturing of Silver Nitrate AR The offered chemical is precisely processed using the best quality chemical compounds and modern techniques as per the set industry norms by our end. We offer this product to our customer at market leading prices. 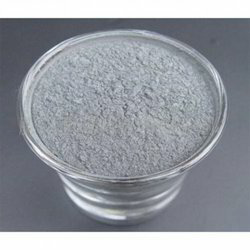 Silver Sulphate Powder (Ag2SO4) is an ionic compound of silver used in silver plating and as a non-staining substitute to silver nitrate. 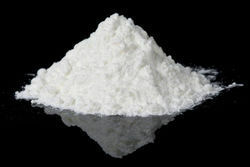 This sulfate is stable under ordinary conditions of use and storage, though it darkens upon exposure to air or light. It is minimally soluble in water. Silver Sulphate AR & LR (Silver sulfate) is an ionic compound of silver used in silver plating and as a non-staining substitute for silver nitrate. This sulfate is stable under ordinary conditions of use and storage, though it darkens upon exposure to air or light. It is minimally soluble in water. 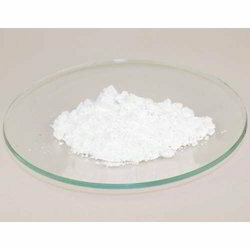 We the leading manufacturers of Silver perchlorate. 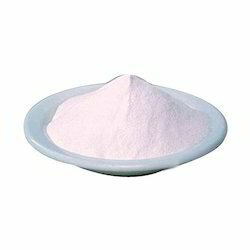 We the leading manufacuturers of silver phosphate. Silver sulfate (Ag2SO4) is an ionic compound of silver used in silver plating and as a non-staining substitute to silver nitrate. 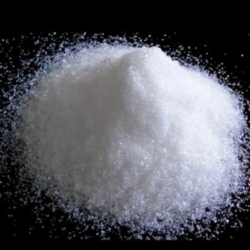 This sulfate is stable under ordinary conditions of use and storage, though it darkens upon exposure to air or light. It is minimally soluble in water. 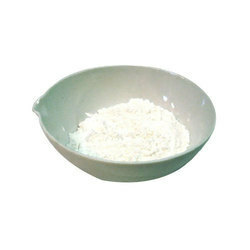 Offered by us is a wide range of Silver Diethyldithiocarbamate. 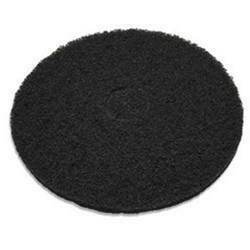 These products are packed using 25 kg HDPE drum and are available at industry leading prices. 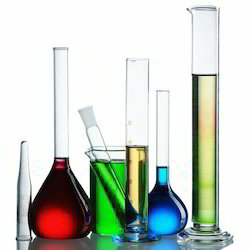 Moreover, these chemical products are defined by international quality standards. 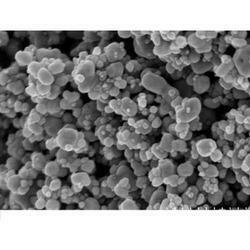 With a wealth of experience and leading market know how, we have established an enviable position of one of the leading manufacturer, exporter and supplier of Silver Nanoparticles. 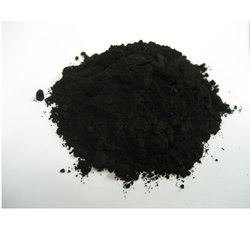 The offered nanoparticles have been widely used as anti-bacterial agents in the health industry, textile coating, food storage and a lot of environmental applications. The nanoparticles are precisely manufactured by our adroit professionals using optimum raw material and latest technology. 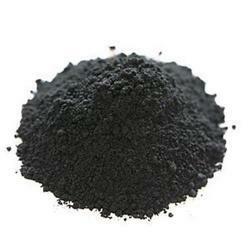 The offered nanoparticles can be availed from us at market competing prices. Ours is a trustworthy name among our customers for manufacturing and wholesaling Silver Triflate, which can be obtained in standardized packaging. Processed under hygienic environmental and temperature conditions, the offered chemical is accurately composed and highly effective. Silver triflate is provided in standardized packaging to prevent contaminations. We are suppliers of Silver Trifluroacetic Acid in bulk quantity.Our range is available in a wide variety of packaging meeting all the requirements of our clients. Our range is available at market leading prices. 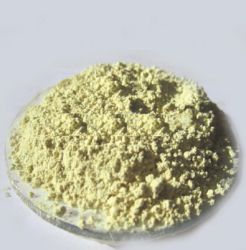 Silver bromide (AgBr), a soft, pale-yellow, water-insoluble salt well known (along with other silver halides) for its unusual sensitivity to light. This property has allowed silver halides to become the basis of modern photographic materials. AgBr is widely used in photographic films and is believed by some to have been used for making the Shroud of Turin. The salt can be found naturally as the mineral bromargyrite (bromyrite). 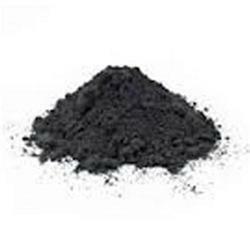 We are involved in supplying Pure Silver Metal Powder (Element - Ag)(upto -325 mesh). These are used for High end electronic applications, powder metallurgy, sintering and brazing applications. We can make different grades of Pure Silver (Ag) powders according to customer choice based on the order quantity. Our production capacity is more than 100kg per month. 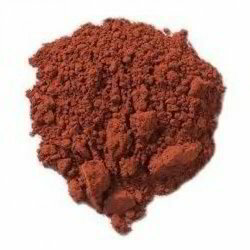 We produce micronised powders in the range of 1-10 microns. Being an ISO 9001:2008 certified company, one can be rest assured about the quality. Pure Silver Sulfate (Ag2SO4) is an ionic compound of silver used in silver plating and as a non-staining substitute for silver nitrate. This sulfate is stable under ordinary conditions of use and storage, though it darkens upon exposure to air or light. It is minimally soluble in water. We the leading manufacturers of silver nitrate on silica gel for our valuable customer in terms of quality and satisfaction . 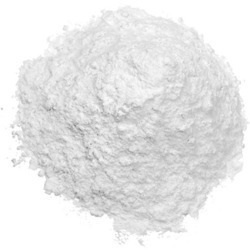 We the leading manufacturers of silver methanesulfonate. We the leading manufacturers of Silver metavanadate. We the leading manufacturers of silver hydrogenfluoride. We the leading manufacturers of silver molybdate. Looking for Silver Chemicals ?